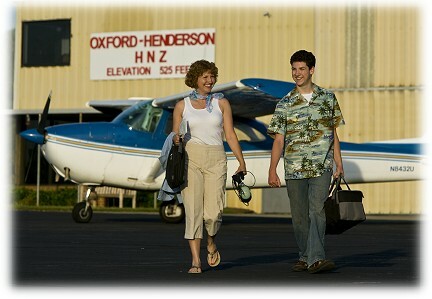 Take a Discovery Flight and learn to fly! Experience the thrill of flight while at the controls of a general aviation aircraft with a FAA Certified Flight Instructor (CFI) in the seat next to you. You’ll perform basic maneuvers on the (approximately) 30 minute introductory flight. During the pre-flight briefing, you’ll learn about the fundamentals of flight, and what it takes to become a licensed pilot. You can even log this flight towards the minimum requirements of 40 hours (see details) for a Private Pilot’s license … its like your first lesson! Book a Discovery Flight today … for yourself, or as a gift.